· preforma for colour by number. 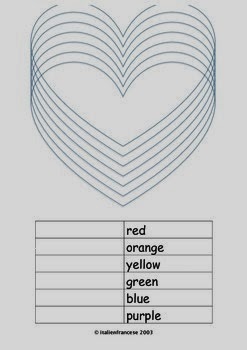 Heart theme with colour word bank for students to complete. Option: teacher allocate numbers and colours before lesson. Please visit my blog below to vote in the online polls in the right hand side bar. As always, please send any feedback so I can make these high quality learning resources for my classroom and yours.